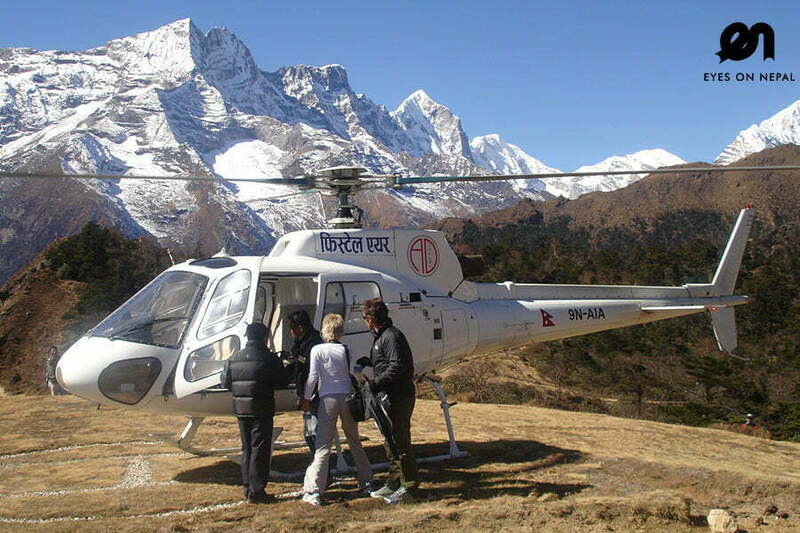 Kathmandu Helicopter Tour price is USD 400 per person, based on 5 person per helicopter. You will fly to Langtang Valley and Gosainkunda Lake and back to Kathmandu airport. 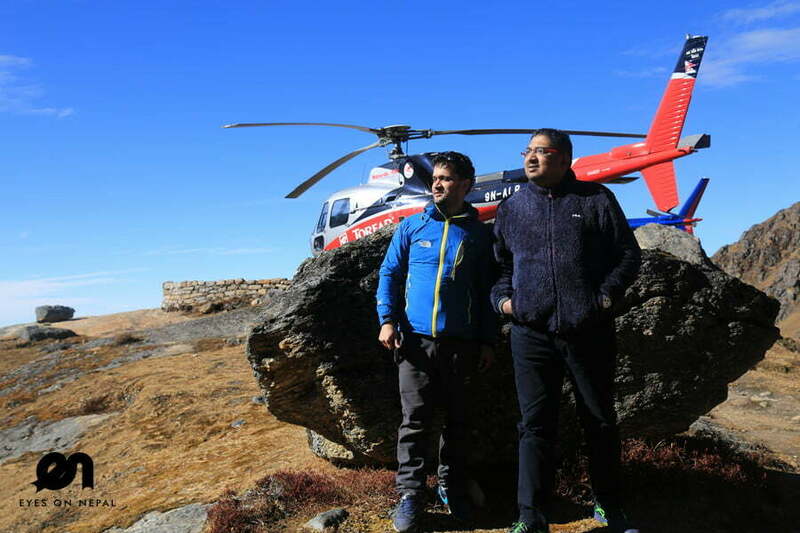 This is our best offer to anyone who want to experience an amazing flying experience across the Himalayas range of mountains at affordable price. Please note this is a private helicopter charter service, if you are travelling in a group of 2, then per person price is at USD 1000. We charge by per helicopter. Highlights: Once in a lifetime experience = WOW! And, you will never forget it! You will be in Helicopter for 2 hours. 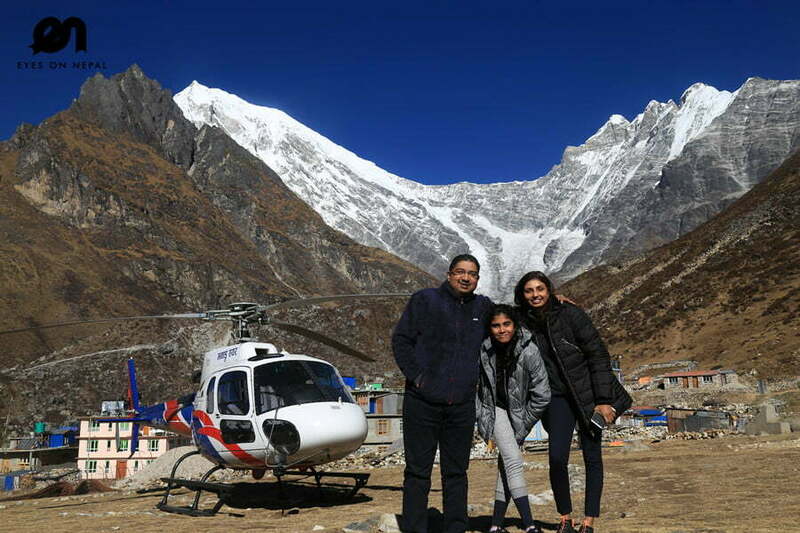 05.00am: Pick up from your hotel and proceed to Kathmandu International airport for Kathmandu Helicopter tour to Langtang and Gosainkunda Lake. 06.00am: Fly to Langtang valley. Total flying duration will be around +- 2 hours. 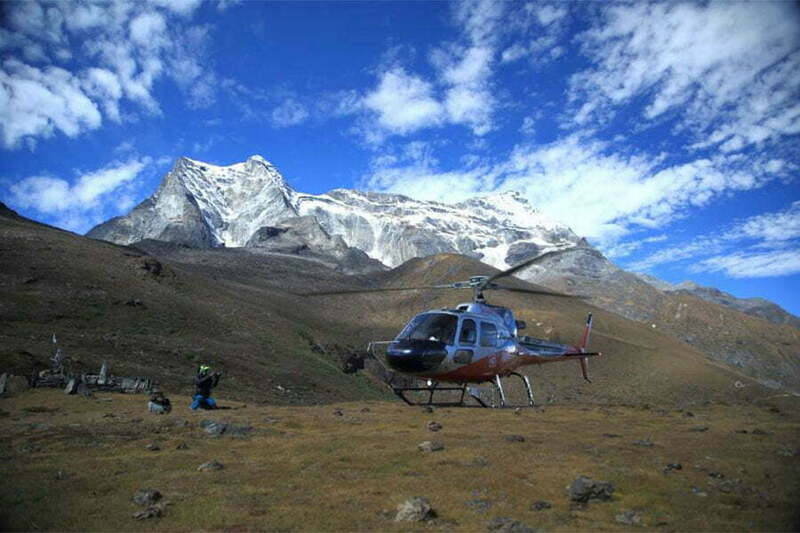 NOTE: It is a 1 hour Kathmandu Helicopter Tour to Langtang valley and Kyanjing Gompa. 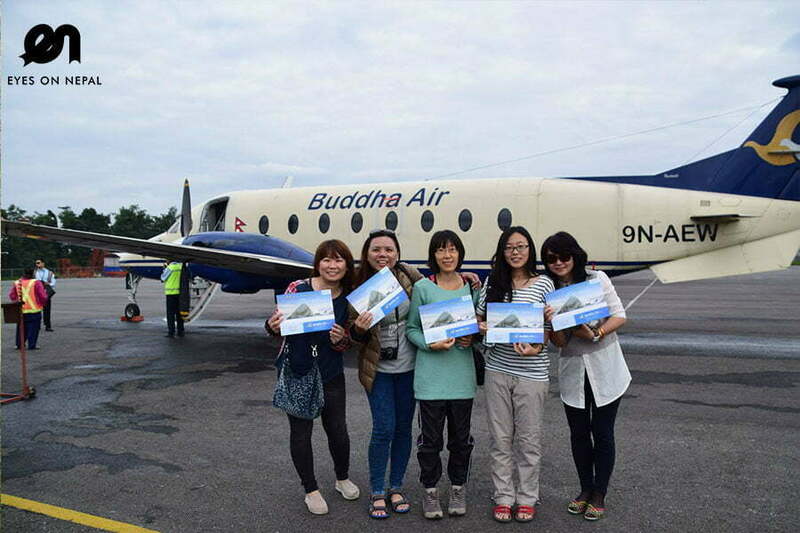 You will fly from Kathmandu airport and land on Kyanzing Gompa. 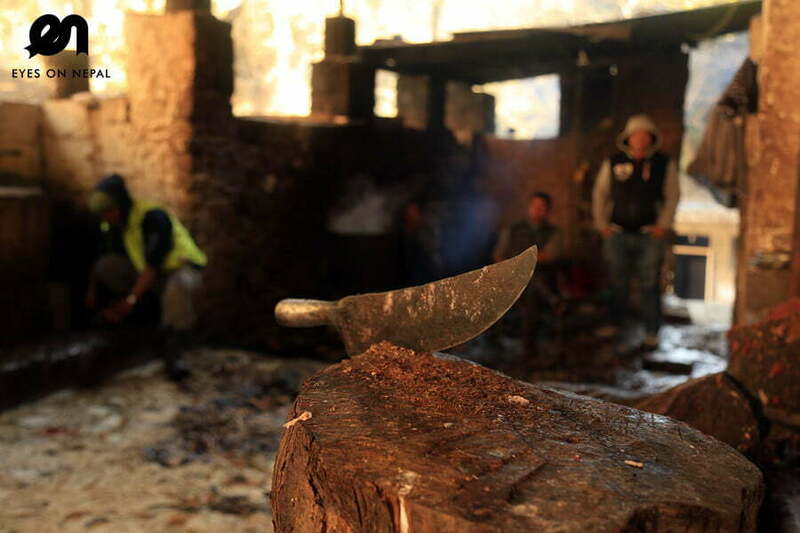 You will stay around 30 minutes in Kyanjing Gompa at the height of 3800m. We don’t suggest you to stay longer because of the high altitude. On the way back to Kathmandu you will stop at Gosainkunda Lake & Saraswati Kunda Lake: Duration: +- 15 minutes. The Gosaikunda area has been delineated as a religious site. 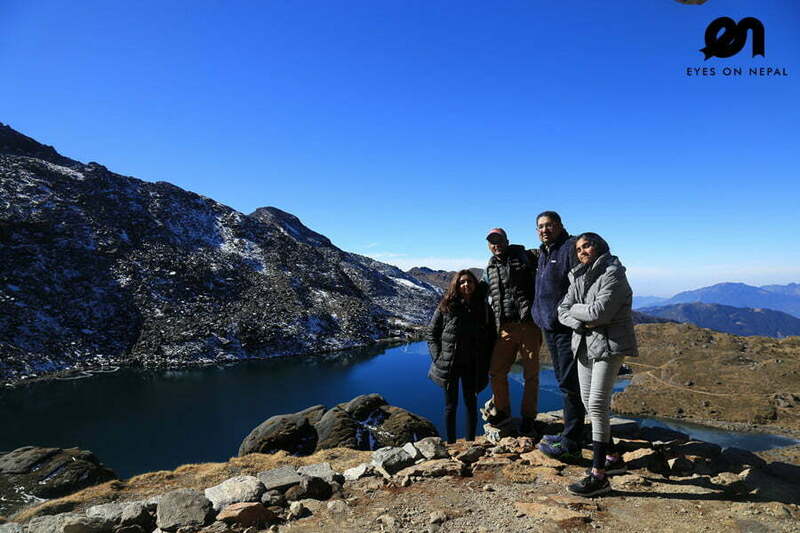 Hindu mythology attributes Gosaikunda as the abode of the Hindu deities Shiva and Gauri. The Hindu scriptures Bhagavata Purana, Vishnu Purana and the epics Ramayana and Mahabharata refer to Samudra manthan, which is directly related to the origin of Gosaikunda. Its waters are considered holy and of particular significance during the Gangadashahara and the Janai Purnima festivals when thousands of pilgrims from Nepal and India visit the area. Gosaikunda is believed to have been created by Lord Shiva when he thrust his Trishul into a mountain to extract water so that he could cool his stinging throat after he had swallowed poison. 08.00am: Back to Kathmandu airport. Pick up and you will be transferred back to your hotel. Gosainkunda Helicopter Tour ends right after you arrive at your hotel. USD 400 per person, price charged based on minimum 5 person per helicopter. NOTE: We charged USD 2000 to charter a helicopter. 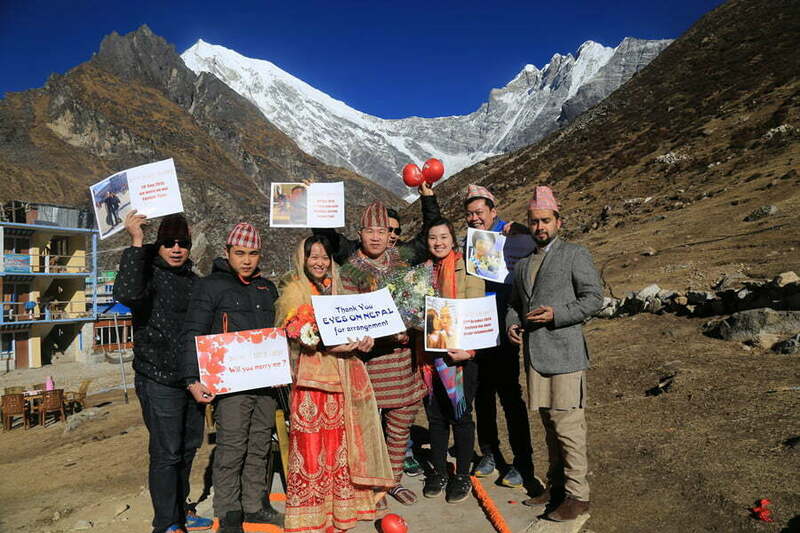 Please let us know the interested date, we will inform whether we have or not have fixed departure Langtang Helicopter Tour. Normally, in the month of Feb, March, April, Oct, Nov and December, we are flying everyday. We will put you with other interested guests to make it 5 per helicopter. Two ways transfers to/ from your hotel to Kathmandu airport. 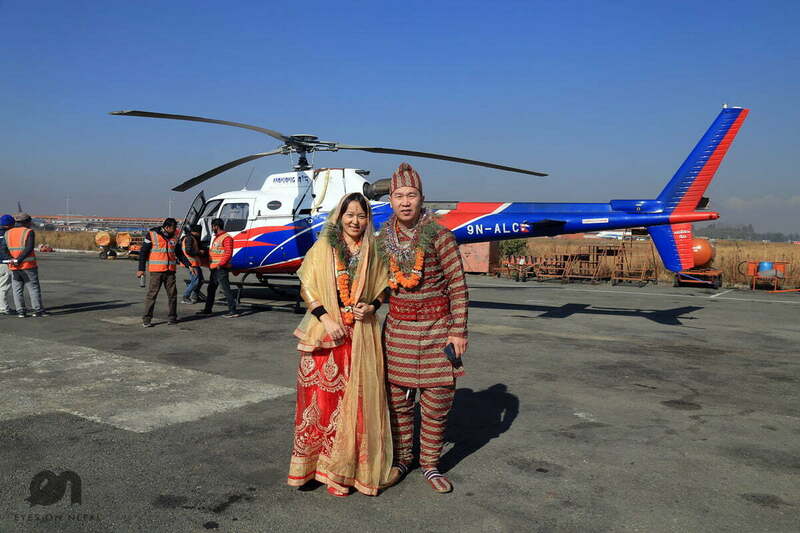 Kathmandu Helicopter Tour to Langtang and Gosainkunda Lake. +2 hours flight time. Total duration including airport waiting time and boarding is 4 hours. Tea & Coffee at Langtang Valley. Please provide us a copy of your passport(take a photo) and a passport size photo in JPEG format upon sending us the confirmation email. 50% deposit will be paid by your side either via Pay Pal or bank in to our Nepal Company account.